Lee grew up as part of a two-thirds African American single family household. However, he did not grow up with a formal father figure. 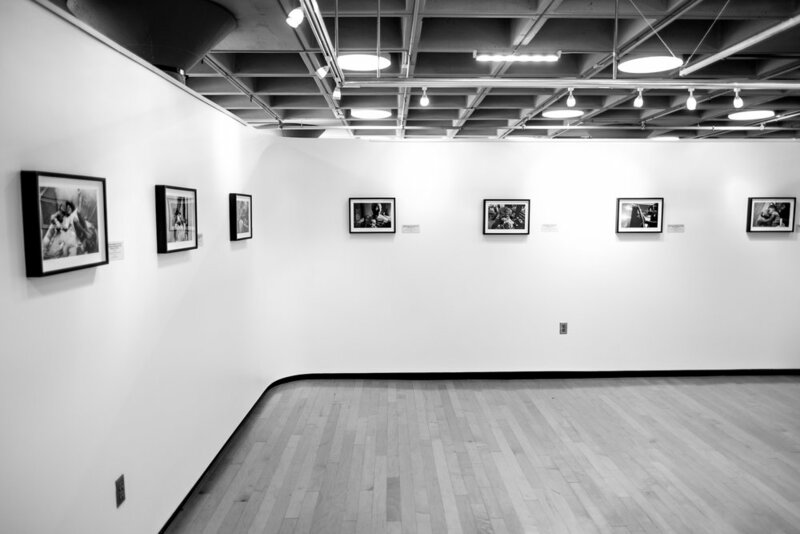 The artist remarks “I’ve experienced father absence but also at the same time father fullness.” Upon being taken under the wing of African American men growing up, Lee was driven to create Father Figures: a black and white photo series that provides insight into the unknown narrative of black fatherhood. Lee claims that he did not originally set out to create Father Figures, and rather that the project grew out of his personal exploration. This is exemplified by the fact that Lee only learned of his black heritage when he was 25, after spending years thinking that he was South Korean. 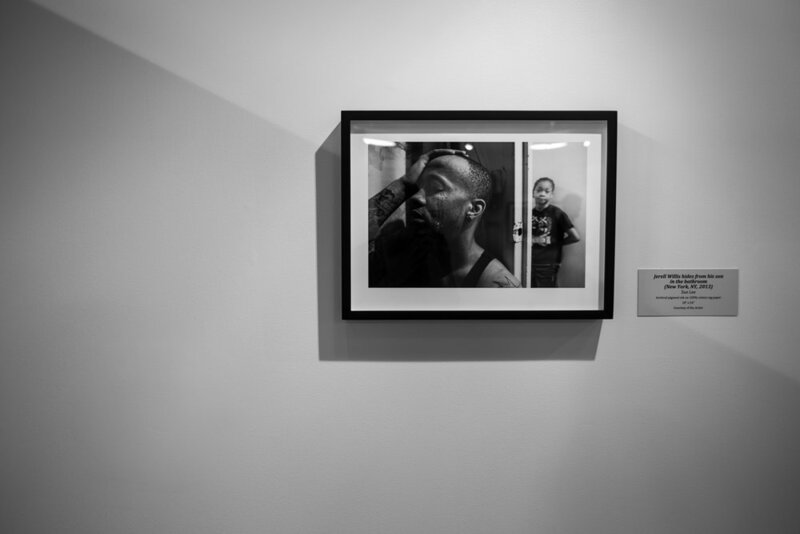 “For me it was important to say that it was not just about Black men being fathers,” says Lee, “but it was also about embodying a different type of masculinity.” Lee’s images challenge the stereotypical image of black men by providing more intimate shots, which reflect the experiences of the black men that raised Lee. 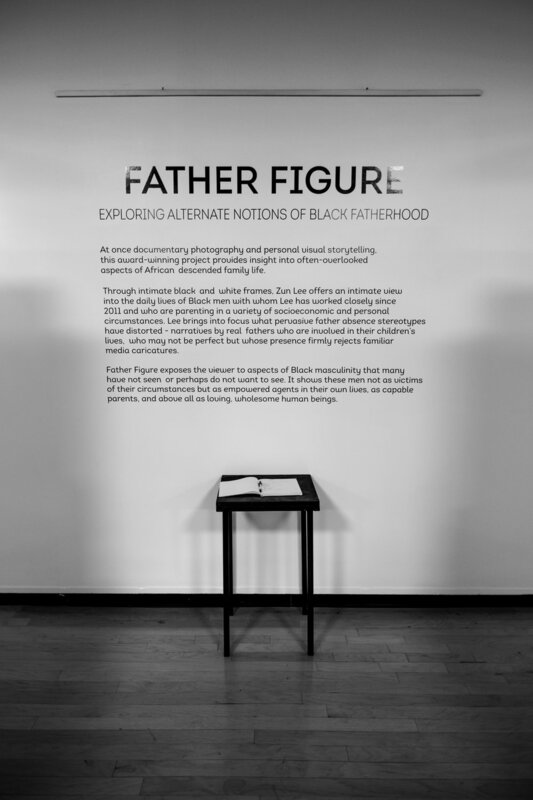 Father Figures' unique perspective results directly from Lee developing more intimate relationships with his subjects. Despite boundaries between photographers and their subjects, Lee says “one family in particular took me in… they embraced me as something other than a photographer.” The more trusting relationships Lee was able to develop, such as even being godfather of one of the children, played a paramount role in the images produced. 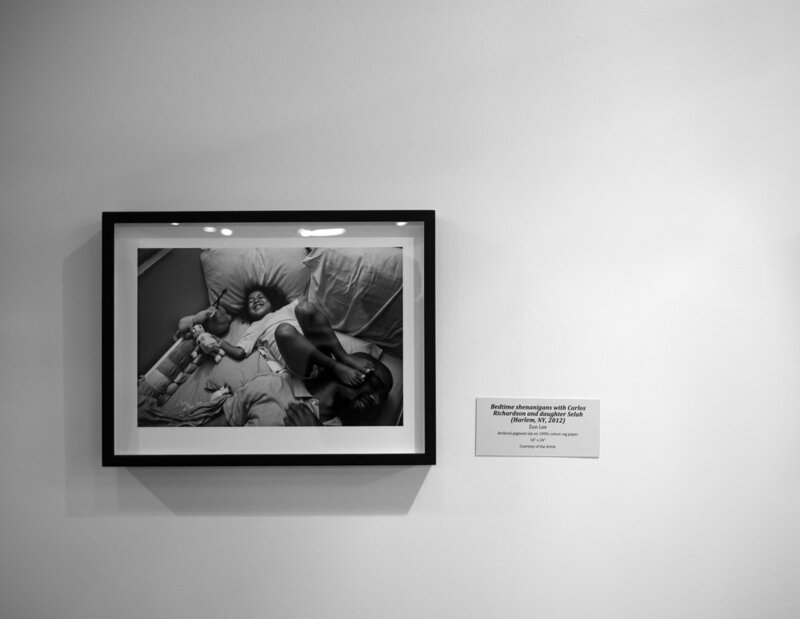 These images reflect a reality for many African American children, to which Lee states, “I made these images just for us….when we see images in the media we know they are not made for consumption by the community for which they originate.” A collection that started as search for a relationship that Lee lacked grew into a powerful project that resonates through the larger black community. 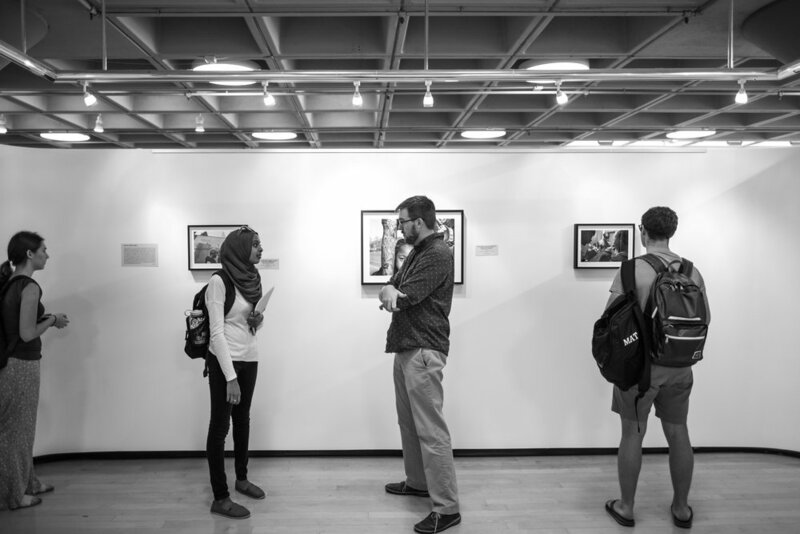 Zun Lee: “Father Figures” will be showing in the Louise Jones Brown Gallery (located within the Bryan Center) athrough mid-October.